Office 365 is about helping you be more productive so you can make the most of every moment. We believe the future of productivity involves technology that is truly personal and can work on your behalf. This belief is a driving force behind Microsoft’s personal digital assistant Cortana, which is coming to PCs and tablets, with Windows 10. Cortana learns your preferences to provide relevant recommendations, fast access to information, and important notifications. Cortana in Windows 10 can help you at home, at work and on the go. We’re pleased to announce the ability to integrate Cortana in Windows 10 with Office 365 for businesses, available in the latest Windows Insiders preview build. Cortana in Windows 10 will be now able to connect to Office 365 to help you accomplish more at work. You can preview this initial integration between Cortana and Office 365 starting today if your company is opted into First Release for Office 365, and you are enrolled in the Windows Insider Program and running Windows 10 preview bits. Today, Cortana is already great at letting you quickly see what your day is going to look like, see when and where you first meeting is, get a sense of travel times to work, or even get updates for upcoming trips from your calendar. Quickly glance at your day, know what’s next and take action. Cortana gets even better when connected to Office 365. For instance, at work many of us spend significant time and energy on meetings. By integrating with Office 365, Cortana can proactively help you prepare for an upcoming meeting. Cortana brings you helpful information about the people you’re meeting with, recent documents they’ve worked on, and reminders about when and where you need to be next so you won’t be late. Be better prepared for meetings with rich insights. See when and where you need to be next. People are the heart of the workplace. Everything we do, whether it’s sending an email or preparing a presentation, all comes back to the people we work with and having a great relationship with them. Through Office 365, Cortana can pull together insights to help you be more connected—like how you and your colleagues are connected to each other, documents you share and your upcoming meetings with them. Cortana will even deliver reminders when that important person contacts you. If you’re enrolled in the Windows Insider Program, running the Windows 10 preview bits, and have an Office 365 account at work, you can connect Cortana with Office 365 starting today. In addition, Office 365 admins can opt-out of Cortana connectivity in the Office 365 Admin portal. We are just starting this journey, and we’d love to hear your feedback on the Cortana and Office 365 integration preview, so please join the Windows Insider Program to give it a try, and share your feedback with the Insiders community. Q. Is the ability to integrate Cortana with Office 365 now available to all Office 365 customers? What does someone need to have in order to try it out? You need to be enrolled in the Windows Insider Program and running Windows 10 preview bits. Also, please note that Cortana is only available in select languages and markets today. Please check the Windows Insider Program site for more information. Q. What is the Windows Insider Program? A. The Windows Insider Program is a public preview program to gather feedback from our users to help us shape and improve the experience before general availability of Windows 10 on July 29th. Q. Which version of Windows will be supported? Will these support Windows Phone 8.1 Cortana? A. The ability to integrate Cortana with Office 365 will be available in Windows 10 desktops and tablets. Mobile phone integration will happen later this year. Q. Can Office 365 admins control access to Cortana? A. Yes, we are providing a new Office 365 admin control for Cortana to Office 365 customers. At this stage it is available only to customers using First Release. When Office 365 access is disabled, Cortana will still work on end users’ devices, but it will not have access to Office 365 information. You can find out more information here. 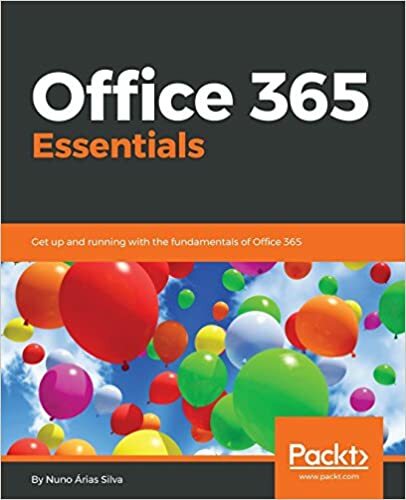 Get started on PowerShell for Office 365 with the new powershell.office.com!